Bill oversees fundraising initiatives for Susquehanna Heritage. His focus is on corporate and foundation support but will also be engaged in helping grow the base of individual donors. He brings over 20 years of non-profit fundraising experience through various Lancaster organizations including North Museum, Lancaster Public Library and most recently Long’s Park Amphitheater Foundation. 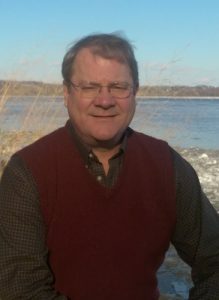 Bill also has professional experience as historian for two state historic preservation agencies in West Virginia and Wisconsin. A native of West Virginia, Bill holds a Bachelor’s degree in History from Shepherd College and Master’s Degrees in History and Journalism/Public Relations from West Virginia University.